Were you an 80's kid? If not, don't sweat it. This game's got you covered. We sometimes forget just how important a video game’s soundtrack can set the tone. In this behind-the-scenes video, Just Blaze, producer of the game’s original soundtrack, describes the original TMNT games and cultural influences that helped to bring TMNT: Out of the Shadows a whole new perspective. For many of us who grew up in the 80’s, the Teenage Mutant Ninja Turtles were hard to top when it came to TV shows and product lines. But for those that didn’t have that pleasure of experiencing all the buzz way back then, luckily today there’s still a huge fanbase that helps to keep the turtles alive and growing. Just Blaze describes his childhood experiences with the Super Nintendo, Beat-Em-Up classic: TMNT: Turtles in Time, and how Out of the Shadows shares much its likeness. But not to confuse the two, he chose to add his own sick hip hop beats to the game that will go nicely with the team's all new look. I’m not the one to talk about hip hop as a music genre, but the music being added to Out of the Shadows definitely seems to convey the epic brawling action that the game hopes to provide. 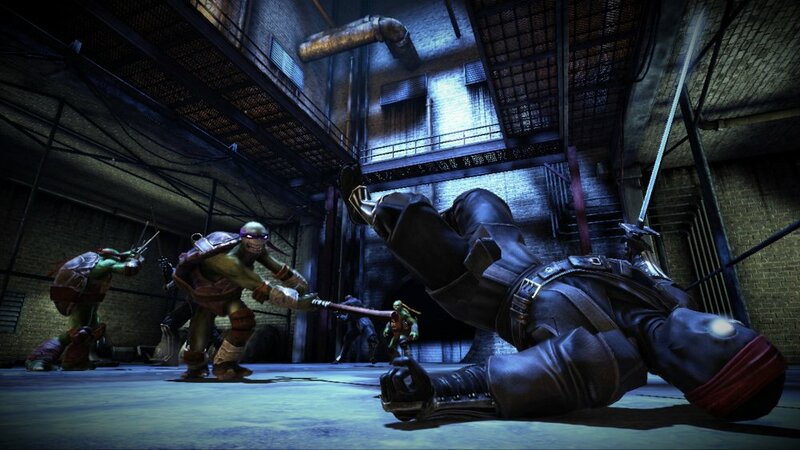 TMNT: Out of the Shadows will arrive on XBLA and PSN this August 28th, on Steam this September 24th, and will host a 4-player online co-op mode (as it rightfully should). We pray that this title can bring us back to a time when Beat-Em-Up's couldn’t get much better. Do check out all the other trailers featuring the four turtle’s personal fighting styles as well! Page created in 0.3273 seconds.